Are you having intense throbbing or a pulsing sensation in one area of your head and experiencing nausea, vomiting, and extreme sensitivity to light and sound. Does your headache last for hours to days and is it so severe that all you can think about is finding a dark, quiet place to lie down. Then it a good bet that you are suffering from a migraine headache. Some find that their migraine is preceded or accompanied by sensory warning symptoms (aura), such as flashes of light, blind spots, or tingling in your arm or leg. Unfortunately a lot of migraine sufferers take pharmaceuticals which only work 50% of the time, only that mask symptoms and cause side effects which include nausea, dizziness, drowsiness, liver toxicity, muscle weakness and an increased risk of strokes and heart attacks. In my practice, I have work with numerous people affected by migraines and I use a combination of holistic therapies to give my patients relief from their migraines. A lot of migraine sufferers have a combination of these causal factors. In my practice, I check for upper cervical mis-alignments which can irritate nerves to the head and refer painful impulses. Jammed cranial sutures can also affect both cranial and cervical nerves and the muscles of the head and cause pain. Poor posture can cause cervical and cranial problems and therefore a patient’s posture is addressed and corrected. 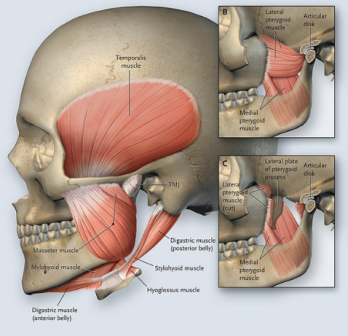 Neck, shoulder and jaw muscles are tested for imbalances where facilitated muscles are compensating for inhibited muscles or where hypo-tonic or hyper-tonic muscles affect the alignment of the spine,jaw or skull. Organ and vascular mis-function (not pathology), food allergies, intolerances, and liver toxicity can affect the processes of organs to work efficiently, decrease blood flow, affect the immune response and increase toxics in the body. I use neuro-lymphatics and neuro-vascular pts and acupressure pts to increase the function and energy of the body. I check to see if the patient is eating foods that aggravate their migraine symptoms; these can include food allergies and intolerances such as gluten or dairy. Allergies and intolerances create problems in your gut and increase toxicity in the body. I encourage patient to only eat whole, natural un-processed fresh foods and get rid of artificial sweeteners, foods with high fructose corn syrup and other additives. If you suffer from migraines, please think about being treated with the combination of the above holistic therapies give me a call at 212-431-3724 to make an appointment. And please check out the Patient Testimonials on my web site. We’re all guilty of it. Bad posture comes with our everyday tasks, when we are not paying attention to how we are sitting, standing, lying down or driving. And our spine and the muscles associated w/ our spine take more of a beating than we realize. Posture is not just about standing up straight, it’s about keeping your spine aligned with its natural shape and curves and the equal pull on our spines by the spinal and back muscles. Bad posture can throw off your spine’s balance, allowing your body to be more prone to injury. In an average day common incorrect posture positions can change the balance of our spine and the back muscles. When we slouch, the natural spinal curves are either reversed or exaggerated and this puts more stress on our spine and muscles. For example, if we hang our head and neck down, we increase the strain of the muscles balancing the weight of our head and increase the strain of the muscles holding our rib cage up. Some mucles become too tight and others too loose. Such an imbalance can lead to tension headaches, mid-back pains, neck pains and shoulder pains. Similarly, low back pain can be caused by misalignment of the spine and unbalanced muscle pull on both the front , back and sides of our torsis due to bad posture and habits. Chiropractor and especially Applied Kinesiologists are trained to spot and test for these muscle imbalances and correct these imbalances so please do seek one out if you are having body pains and in the meantime, make an effort to be conscious of your posture. Hi!, I’m Dr. Vittoria Repetto, a native downtown New Yorker and Doctor of Chiropractor and an Applied Kinesiologist who has been in practice since 1987. And recently a Neuro Kinetic Therapy practitioner. I treat the whole person, not just your symptoms. I know that balancing your structure, your biochemistry and your mental outlook all contribute to your well-being. Each of my 75 minute long wellness sessions is unique and composed of interrelated holistic therapies that work together to achieve maximum benefits. I am not affiliated with any insurance network. If I belonged to a network I would have to see patients in an assembly line fashion (10-15 minutes). I would not be able to take time to, for example, balance the muscle pull on your spine or extremities or to do cranial sacral work or acupressure work or talk to you about your nutritional needs or suggest exercises or lifestyle changes related to your condition. Therefore I ask that my patients pay me directly and I fill out their insurance claim form and they get reimbursed by their insurance company if they are allowed to go “out of network” by their policy. I charge $150 for the initial visit which includes consultation, examination and treatment and the $120 for the following visits. The fees for my practice are moderate by New York City standards; most doctors offering similar therapies charge $ 200 to $300 for their visits and spend less time on each visit . My fees can be paid in cash and check (no credit cards). Payment is expected at the time of service..
Because of my Whole Person approach to wellness, I have helped patients with both short-term problems and long-term unresolved problems become free of their complaints. And because I spend a good deal of time with you and because of my use of interrelated therapies, unlike a lot of doctors, I don’t require you to come in three times a week. I’m also the writer of this blog, in which I talk about chiropractic, applied kinesiology techniques, muscle balancing, my thoughts on nutrition and healing and as befits a foodie and a daughter of an Italian chef, even some healthy and delicious recipes. Want more information on Dr. Vittoria Repetto and her NYC Applied Kinesiology/NKT practice; please go to www.drvittoriarepetto.com.